The CBRE's latest half-yearly research report "Global Prime Retail Rents" revealed that Dublin's prime retail rents in the first quarter of 2017 had the 5th highest percentage year on year growth rate increase in the world. This certainly supports the argument that Ireland's retail sector is buoyant. Irish retail sales grew by nearly 5 per cent in the 12 months to January 2017, suggesting the weakness in sterling is not dampening activity in the sector. The performance of prime Dublin retail does not necessarily reflect the general retail performance across the country. Clearly, the lack of supply of good quality retail property in prime locations in Dublin is pushing up the rents in those areas. Most of the desirable schemes are at full or near full capacity. 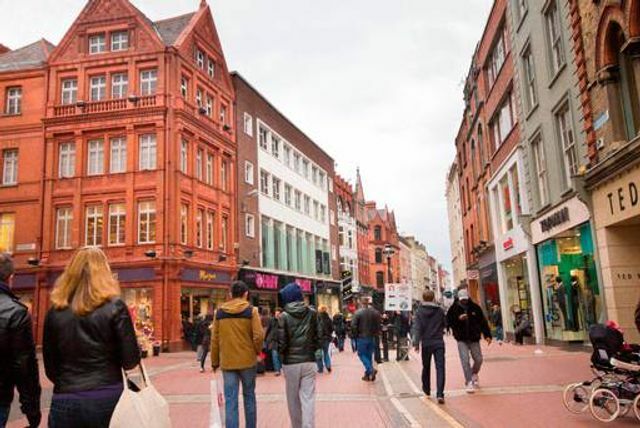 Dublin has emerged as one of the fastest-growing prime retail locations in the world according to CBRE's latest half-yearly research report, 'Global Prime Retail Rents'. The Irish capital secures fifth place on the list, after recording an 10.5pc year-on-year increase in rents for prime retail in the first quarter of 2017. While the rate of growth is significant in itself, it is however some way off the 39.1pc registered by London. The Russian city of St Petersburg takes second spot with rental growth of 15.4pc, while the New Zealand capital, Auckland, and Bulgarian capital, Sofia, take third and fourth positions at 12.5pc respectively.